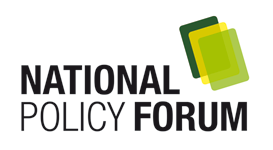 The National Policy Forum offers a program of events tailored to every business or community leader’s particular needs. The program includes the ‘Boardroom Series’ of lunches and dinners, the annual ‘Federal Budget Dinner’, in Parliament House and the popular ‘Leaders’ Luncheon’ series, featuring State and Federal Leaders of The Nationals. These events provide a unique vehicle for business and community leaders to access key policy-makers within The Nationals and to share ideas. They are also a valuable opportunity to network with other political, business, community and industry leaders. Upcoming events information is distributed on request. Please communicate your interest by clicking here to send us your details. We will make direct, personal contact with you to discuss future event options. Thank you for wanting to participate in this Forum.